Bright cotton bracelets are popularly called baubles. It is inexpensive, but artfully hand woven decoration, is particularly popular in children and youth. Learn to weave baubles can learn, even a child – fortunately, today there are many instructions and descriptions of simple and complex models and patterns. First you need to master the weaving of the two threads – the worker and the axial, as well as special nodes. Select the simple model of decoration and not too intricate a pattern to weave baubles. Once you learn the basic techniques of work, you can proceed to more intricate schemes. 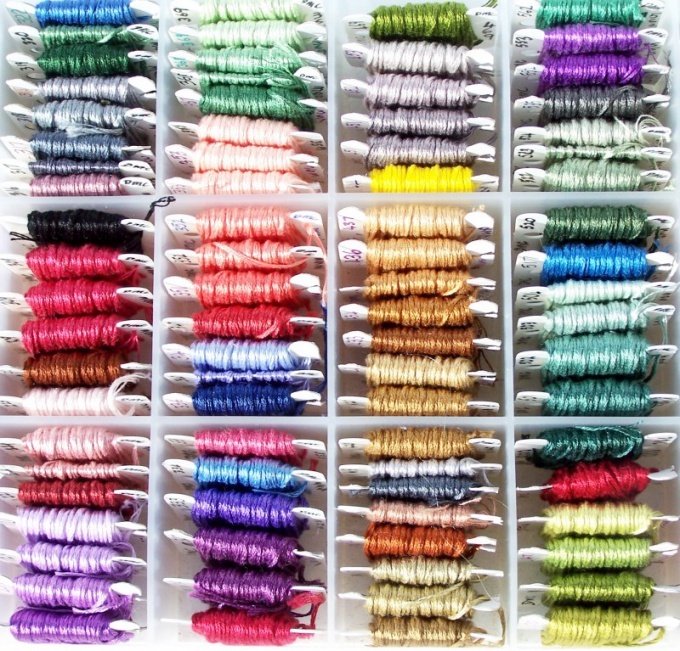 For training you will need two skeins of thread floss assorted colors. Their length should be about 1 m, i.e. several times more than the future decoration. Take the axial filament (No. 1) – on it you will make the nodes from the working thread (it can be called No. 2). Align both lines and at a distance of 7-10 cm from the tip tie in a knot (this is the future plot of the bracelet). Pierce is received by the node pin and secure it to the pillow. Thread number 1 and number 2 divide. Pull the left hand axis, and the right grab the working thread and wrap its axis, making the movement from left to right. Drag the tip of the thread # 2 of the formed loops, then carefully remove the ready-right hinge knot up. Make in the same way the second node, moving it close to the previous one. Don't tighten it very tight. Before you double the knot. Now thread number 1 and number 2 changed their places and functions. Do the left loop knot is similar, but in mirror image. Making the working thread and double knot, move from right to left. Learn basic right and left turn. Right: axial filament must be done by the working thread right loop node, then – left. For the left: the working thread executes a loop left, then right. When thread bracelet of the required length is ready, tie it "tails" of the knot and trim the brim with scissors. When you learn to weave baubles of the two lines, you can try to work with three, then with a large number of threads. For convenience, choose the colorful floss and lay them in order (for example, even – red, odd orange, etc.). You need a string from the left side to tie double knots on each successive string until the working thread will not become extreme right. Then you will again begin to work with the left thread; continue to act on the sample.